The federal government has named its university in Oye-Ekiti after the former Military Governor of the defunct Western Region, Major-General Adeyinka Adebayo whose remains were buried at his Iyin-Ekiti country home on Saturday. 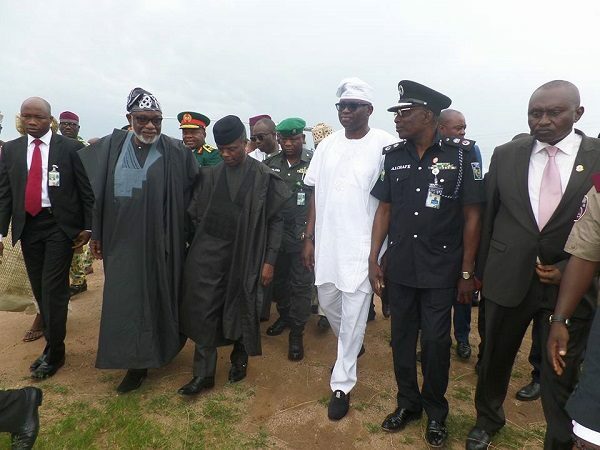 Acting President, Prof. Yemi Osinbajo (SAN), announced the renaming at a funeral service in honour of the late Adebayo, who was the oldest surviving officer of the Nigerian Army at the All Saints Anglican Church, Iyin-Ekiti. 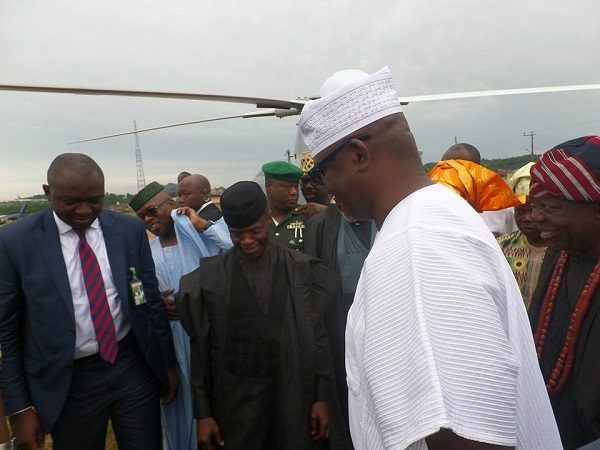 Osinbajo said the decision to name the Federal University, Oye-Ekiti (FUOYE) after Adebayo was in appreciation of the deceased’s selfless service to the country in his lifetime. According to him: “We are here to honour an officer and a gentleman who gave his life in the service of our nation. “President would have loved to be here to honour his boss but has asked me to deliver this funeral oration. “General Adebayo was ready to play the role of the mediator. He handled the task most admirably. 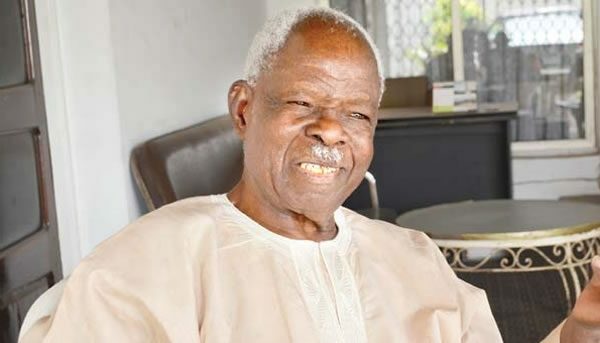 “His quest for peace did not go unnoticed as the oldest military officer in Nigeria. “His military trajectory was in a way a lesson in Nigeria’s history; his confines have reverberated beyond the confines of his first love: the military. Osinajo said further: “This is a celebration of life of sacrifice and dedication to one’s community and nation. “General Adebayo was a fine gentleman and the first indigenous Chief of Army Staff who Mr President had harmonious relationship with. “To let you know how respectable this man was to President Buhari, the President personally instructed me to be here. “General Adebayo had demonstrated that one must learn how to impact on the community where he has the opportunity of serving. “As a military officer, he did well and a military governor, he served the people selflessly. “As a military officer in 1967, he fought hard to prevent the rebel Army from making incursion into Lagos, the then Federal Capital Territory. “He headed the post war conciliation committee for the integration of the Igbos back to Nigeria. In fact, his military trajectory was a case study in Nigeria. Delivering the sermon at the service, Primate of All Nigeria the Church of Nigeria (Anglican Communion), the Most Reverend Nicholas Okoh, slammed political office holders for massive corruption and treasury looting, warning them to repent before it is too late. Okoh, who was represented by Dean, Church of Nigeria who also doubles as Archbishop of Ondo Province, the Most Reverend George Lasebikan, said no amount of treasury looting and primitive acquisition of wealth can prevent them from the icy hands of death when the time comes. He described Adebayo as a man of great “human disposition, forthright, disciplined and focused,” saying these sterling qualities helped his career in no small measure. The cleric said: “Nigeria is in trouble because our leaders are self-serving. But remember that only God has the power of life and death. “With over $98 billion you have stolen, this won’t deliver you from the hands of death. “There is so much suffering in the land, unemployment is increasing, people are dying and jobless, so all these were enough for our leaders to cater for rather than looting the treasuries for personal gains”. While urging contemporary leaders to emulate the late Adebayo, Okoh added: “This is the kind of leader Nigeria needs. Those that will be humble with power and see the people as the right constituents that must be taken care of. “General Adebayo was a harbinger of peace even as a military officer. He was a Yoruba man par excellence. 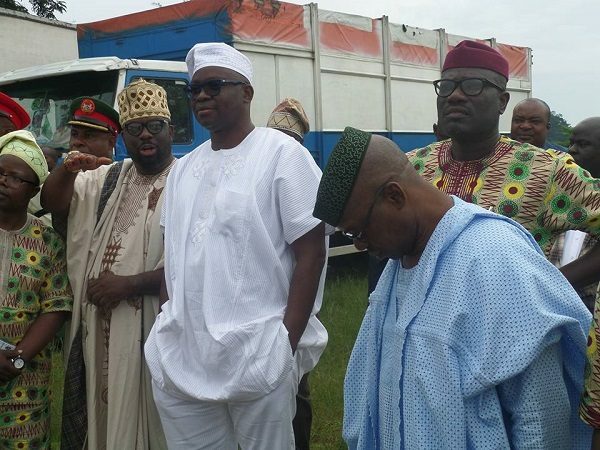 Eminent Nigerians converged on the sleepy town of Iyin to honour the late Adebayo and his son, who was the first civilian governor of Ekiti State, Otunba Adeniyi Adebayo. There was a massive lockdown on the federal highway that passes through the town for several hours. Ministers include: Dr Kayode Fayemi (Mines and Steel Development); Mrs. Kemi Adeosun (Finance); Dr Chris Ngige( Labour and Productivity) and Udoma Udo Udoma (Budget and Planning). There were also Special Adviser to the President on Political Matters, Senator Babafemi Ojudu and Central Bank of Nigeria (CBN) Governor, Mr. Godwin Emefiele. 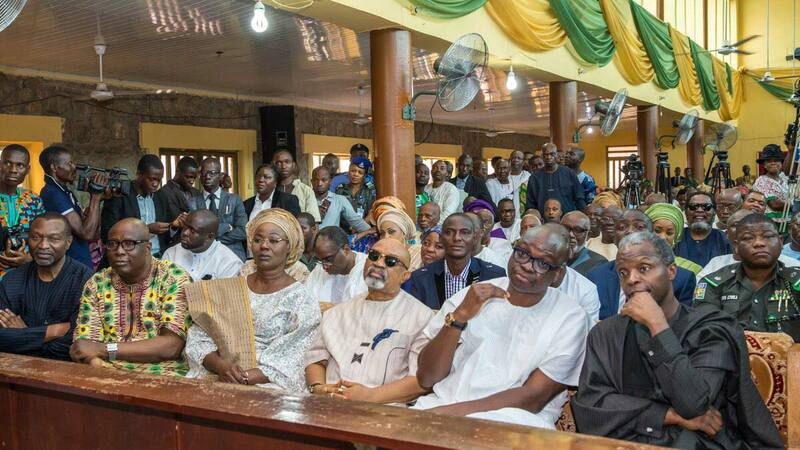 Governors at the funeral were: Ayo Fayose (Ekiti); Abiola Ajimobi (Oyo); Ibikunle Amosun (Ogun); Godwin Obaseki(Edo) and Rotimi Akeredolu(Ondo). Others eminent Nigerians were: Former Delta State Governor, Chief James Ibori; former Edo Governor, Chief Lucky Igbinedion; former Ogun State Governor, Chief Olusegun Osoba; former Osun State Governor, Prince Olagunsoye Oyinlola; former Ekiti State Governor, Chief Segun Oni; former Ogun Governor, Chief Gbenga Daniel; former Edo State Governor, Adams Oshiomhole; Senators Abiodun Olujimi, Andy Ubah and other members of the National Assembly. Also present are former Chief of Defence Staff, Lt.-Gen. Alani Akinrinade; Chief of Army Staff, Lt.-Gen. Azubuike Ihejirika; former Foreign Affairs Minister, Maj.-Gen. Ike Nwachukwu; former Rivers State Military Governor, Maj.-Gen. Zamani Lekwott; former Chairman of Economic and Financial Crimes Commission (EFCC), Malam Nuhu Ribadu; former Minister of State, Foreign Affairs, Mr. Odein Ajumogobia; former National Planning Minister, Senator Sanusi Daggash; Chairman, United Bank for Africa (UBA), Tony Elumelu; President, Dangote Group, Alhaji Aliko Dangote; former Military Governor of old Oyo State, Maj.-Gen. David Jemibewon and THIS DAY Publisher, Nduka Obaigbena. Rear Admiral Akinjide Akinrinade represented the Chief of Defence Staff, Gen. Gabriel Olonisakin while Major General TM Abraham, General Officer Commanding 2 Division, represented the Chief of Army Staff, Lt. General Tukur Buratai. Former Military Governor of Bauchi State, Maj.-Gen. Chris Garuba; former Minister of National Planning, Chief Ayo Ogunlade also attended the funeral service. The rest are Afenifere leaders, Chief Reuben Fasoranti, Chief Ayo Adebanjo, Chief Olu Falae; industrialist, Prince Tunde Ponnle; Federal Inland Revenue Service (FIRS) Chairman, Tunde Fowler; Daily Times Managing Director, Fidelis Anosike; wife of former Cross State Governor, Mrs. Onari Duke and Court of Appeal judge, Justice Oyebisi Omoleye; Otunba Adeniyi Adebayo, who spoke on behalf of the family, thanked Fayose for naming the Government House after him and also naming the General Hospital in Iyin-Ekiti after him. He said he had been very, very supportive of the family since he got the news and had taken it upon himself to ensure to give their father a befitting burial. The casket containing the remains of the octogenarian was lowered into the grave inside the Adebayo’s country home at 2.40 pm with the song “A o pade leti odo” (We shall meet at the riverside).